The Asus ROG Phone finally received a launch in the United States and is available to pre-order now. There are two storage variants of the device: 128GB for $899 and 512GB for $1,099. The 512GB variant will start pre-orders in November. Unlike the previously-for-sale international version, the U.S. version has a full one year warranty. After months of waiting, the Asus ROG Phone finally received its stateside launch last night in New York City. The latest entry into the burgeoning gaming phone market is available for pre-order now from several U.S. retailers, including Amazon. There are two storage variants of the Asus ROG Phone, both of which have the same specs otherwise. The entry model features 128GB of storage and is priced at $899, while the higher-end 512GB variant will sell for $1,099. However, only the 128GB variant is available to pre-order now — the 512GB variant will start pre-orders in November. The Asus ROG Phone is a beast of a device, featuring a 6-inch AMOLED display, the Qualcomm Snapdragon 845, 8GB of RAM, a 4,000mAh battery, dual rear cameras, and dual nano SIM slots. The device features two USB Type-C ports (one on the bottom and one on the side for charging while you play), a 3.5mm headphone jack, and a vapor chamber cooling system. 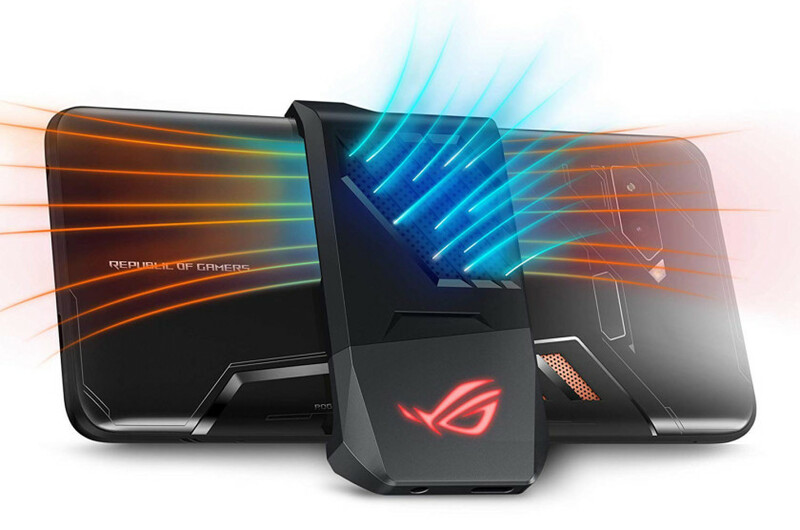 There are also multiple other accessories available separately for the Asus ROG Phone, including computer docks, gaming controller grips, and even something called a TwinView Dock which adds a full second screen to the device.